The practice of making this tea began by accident. The result was unlike any other black tea available and instantly gained the attention of tea lovers. The Bai Ying mountain range in the Lin Cang area of Yunnan province is well-known by tea scientists for its diversity of wild, transitional, and cultivated tea plants. Through research of the genetic material of the tea plants in this area, scientists were able to determine that tea originated in China. Buddhist monks moved into the area around 1100 years ago and started growing tea. Buddhism and tea typically spread together as there is a saying “chan cha yi wei” which roughly translates to “zen and tea, same taste”. The Lan Cang river (Mekong river) runs through Bai Ying Shan in a deep canyon, creating variety in the geology and weather of the area. With good sunshine, plenty of clouds, good soil, and a wide daily temperature range, the tea from this area is nutritious and flavorful. There are tea trees that grow deep within the forests of Yunnan Province’s Lincang region. Among these trees is the Camellia Sinensis variety Taliensis. This variety was identified by tea scientists to be the ancestor of the dominant tea bush varieties used today. Camellia Taliensis now grows among other varieties of tea bushes in the deep forest, including the more common variety Camellia Sinensis Assamica. These trees are minimally maintained and seasonally gathered by the local inhabitants who, in the early spring, pick the fresh grown leaves of these tea trees along with the forest’s wild mushrooms and herbs as a source of income. Such pristine leaves are usually reserved for high-grade puer tea. 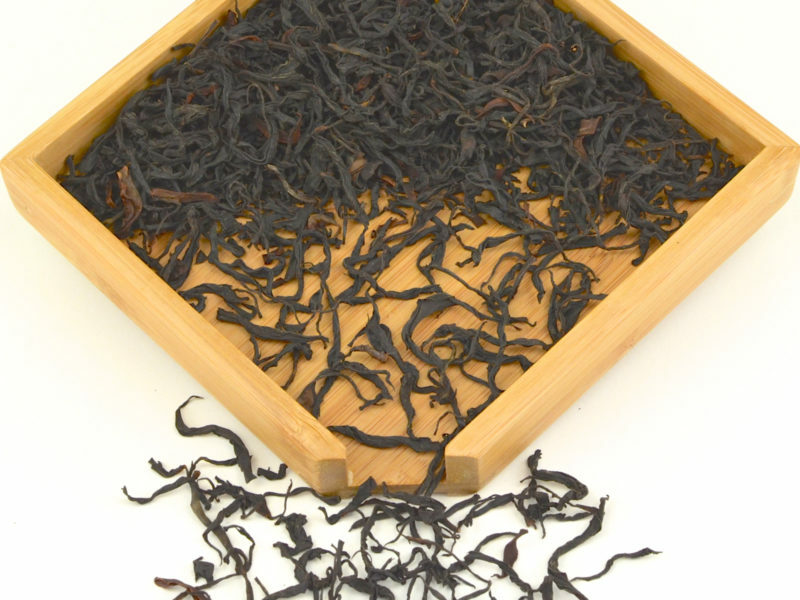 In this case, however, these leaves have been processed as a black tea. The practice of making this tea began by accident. During one spring in recent years, some mushroom gatherers were out in the forest when they discovered that the tea trees had already produced young growth. They picked these young leaves and continued on their mushrooming trip. Days later, when they had returned home with what they had gathered, they discovered that the young tea leaves had browned with oxidation. Rather than discard the leaves, they drew from the local expertise in black tea making and got help to produce a fully oxidized (black) tea from these leaves. The result was unlike any other black tea available and instantly gained the attention of tea lovers. Since 1939, Dian Hong or Yunnan Black Tea has been produced largely as an export product. In contrast to this, the Lao Shu Dian Hong, because of its special origins and outstanding floral character, has now become very popular in the Chinese domestic market, which traditionally favors green tea. Found a Camellia Taliensis tea tree in the forest in Yong De County near Feng Qing County. Austin holding this special tea: Camellia Taliensis. 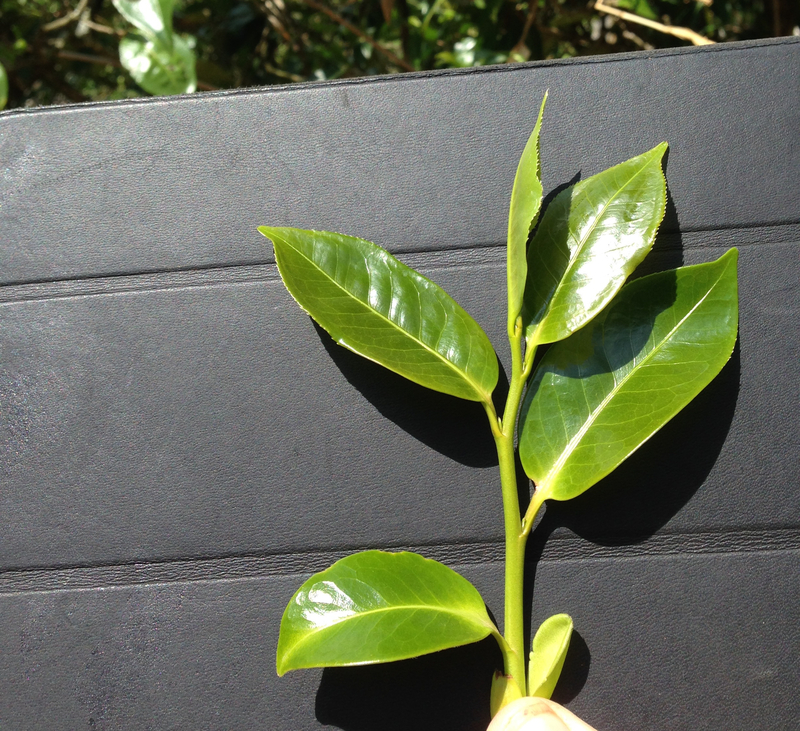 Camellia Taliensis (leaves on the left, buds on the right) is different from other tea trees. Some of these tea leaves will be made in to green puer cakes after being dried in the sun. Withered camellia taliensis, fresh after picking. Hand frying tea leaves to make in to the shape. Taking the tea out of the hot wok after it has been fried for 12 minutes. The oxidation process of this black tea includes wrapping the tea with cotton after kneading the tea in to its shape. Infusion: First infusion at least 3 minutes. The leaves are good for 6 infusions. Add a little more time for each subsequent infusion.